Aztec Solar is pleased to announce that our CEO and President, Ed Murray, has been re-elected as the president of The California Solar and Storage Association (CALSSA). CALSSA (formerly CALSEIA) promotes the deployment of smart, local, clean energy solutions and supports a wide variety of businesses that put an emphasis on building a future with better energy options in rural communities and neighborhoods throughout California. It accomplishes this by being active at a statewide level in policy development, education, advocacy, business services and networking. At Aztec Solar, we are proud that our CEO will continue to lead CALSSA to advance an ambitious agenda that meets the values we share within the solar industry. Ed has been working to preserve and develop the solar industry since 1978. 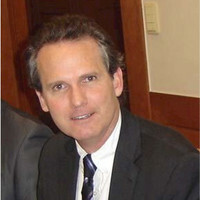 He has been associated with CALSSA since 1984. In addition to his role as president of CALSSA, he is also the chair of the Solar Heating and Cooling Division for SEIA (Solar Energy Industries Association) and serves on the Consumer Protection Committee, Election Committee and Federal Policy Committee. Ed is on the NABCEP board of directors and has been a board member of SEIA since 2011. Aztec Solar believes renewable energy is the future for this country. That is why as a company we support and promote the efforts of CALSSA. Aztec Solar is committed to meeting the energy needs of people across California. Our service and products are a reflection of this. Aztec Solar, under Ed’s leadership, has been doing solar and only solar in the greater Sacramento area for more than 35 years, putting an emphasis on solar ethics and delivering its customers top-notch service. If you have any questions about our solar offerings, contact us at 916.853.2700.